Already a budding herbalist? The Professional Herbalist Package is a wonderful path for you if you are interested in making a career out of herbalism, but already have the foundational education to get started at a more advanced level. With the Professional Herbalist Path Package, skip over the introductory topics and begin your studies at the intermediate level, learning about anatomy and physiology, formulation, dosage, and herbs for body systems. Work your way all the way up to client assessment and intake procedures, the philosophy of healing, and the legal considerations for a practicing herbalist. This path includes the Intermediate and Advanced Herbal Courses. With our new student dashboard, you will have the option to delay your course start date with the “start your course” button. This allows you to take advantage of special sale pricing and enroll in multiple programs at one time! Already a budding herbalist? 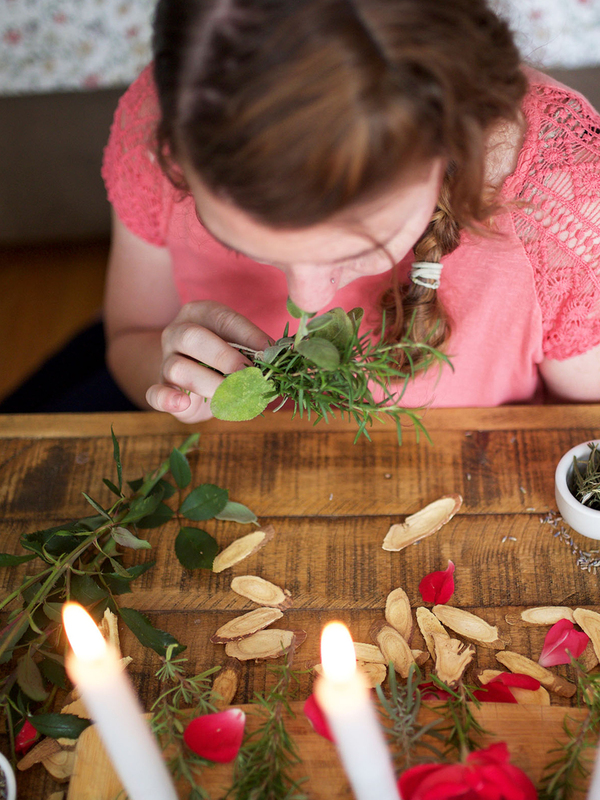 The Professional Herbalist Package is a wonderful path for you if you are interested in making a career out of herbalism, but already have the foundational education to get started at a more advanced level. Skip over the introductory topics and begin your studies at the intermediate level, learning about anatomy and physiology, formulation, dosage, and herbs for body systems. Work your way all the way up to client assessment and intake procedures, the philosophy of healing, and the legal considerations for a practicing herbalist. 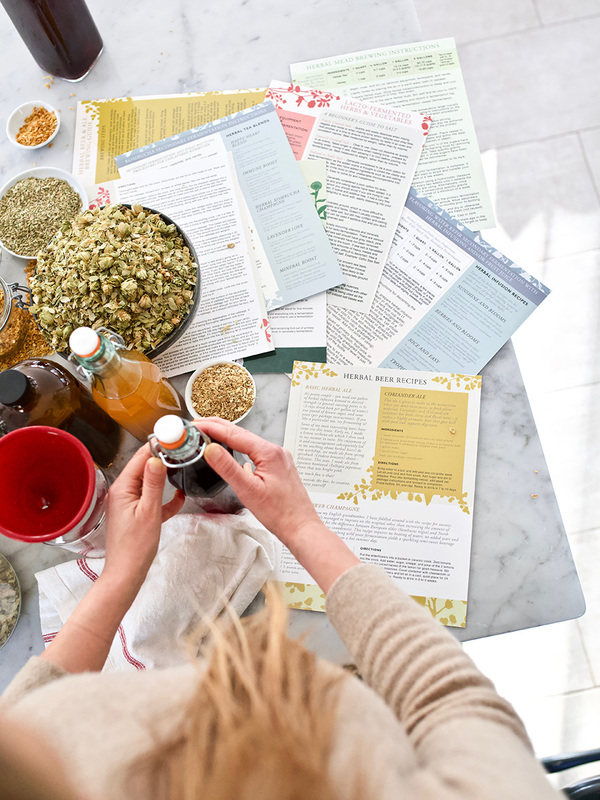 Have you laid the groundwork for your adventures in the boundless world of herbalism? The Intermediate Herbal Course takes students beyond the basics, exploring topics such as safety and side effects; discussions about theory and energetics; in-depth coverage of physiology; and guidance for herbal formulation. This course includes many recipes for infused vinegars, oils, and honeys, syrups, cordials, elixirs, discussion on wild edibles and wildcrafting, and lessons covering herbs for children as well as some legal issues. Students will work through the body systems one by one, devoting a unit of study to each system, including alimentary, immune, nervous, cardiovascular, liver, respiratory, and urinary systems, and discuss anatomy, physiology, balance, imbalance, herbal support, and appropriate materia medica. 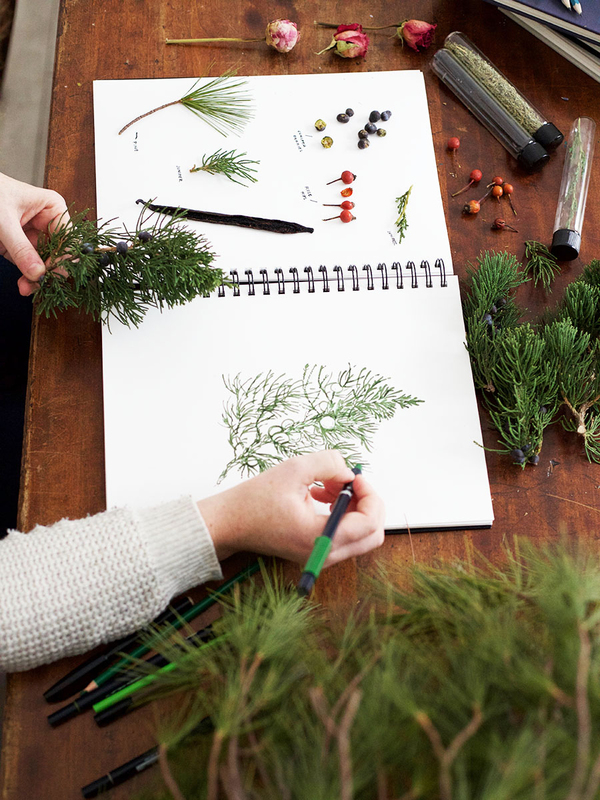 Ready to work towards becoming a professional herbalist? The Advanced Herbal Course has been designed to prepare students working toward a career as professional herbal practitioners. This program will also benefit healthcare practitioners, students looking to grow in their holistic health careers, for family health care, developing herbal products businesses, herbalism education, and with additional hands-on training, clinical herbalism. The Advanced Herbal Course has been designed with the type of academic rigor that will help develop the budding professional herbalist’s knowledge base and encourage the critical thinking skills necessary for clinical herbalism. With your registration in the Professional Herbalist Path, you will have immediate access to both courses in your Student Dashboard. Students will have the option to delay the course start dates with the “start course” button. This allows you to take advantage of special sale pricing and enroll in multiple programs at one time! Undertaking this Advanced Herbal Course this past year has been an incredible journey and I am very grateful for all the knowledge and confidence I’ve gained as an herbalist through this program. Thanks so much. To all those who are still deciding whether to take the Advanced Course or not: don’t even think about it, just do it. It’s worth every penny you’re going to spend, and every minute you’re going to be busy studying. Absolute love. The community is one of the best things about taking these courses. I love it. Each program builds on the previous one. In the Advanced Herbal Course I am learning more about the body and it really is interesting and fascinating. Even though I take various classes at local schools I chose to study core herbalism with Herbal Academy because I wanted the flexibility of a distance learning course, and the quality of their online materials is better than most. I think I will continue to the Advanced program after I finish some of my other in-progress studies. Just got my membership certification with the American Herbalists Guild! Thank you Herbal Academy. I’m looking forward to year 3 as I continue my academic studies. I have learned so much from my courses at The Herbal Academy. I have been drawn to herbal healing for a very long time, and had done somne research and studying on my own. There is so much information out there and knowing where to begin can be a bit challenging. The Herbal Academy has made it so much easier for me to navigate through all the information. I am hoping to pass along the knowledge I have gained here to others. There is still so much more to learn, but I have a good solid foundation thanks to The Herbal Academy! I have so enjoyed being a part of the Intermediate Herbal Course. I have been self-teaching and using herbs on my own for years, yet I found this course very enlightening and educational. I learned more about why and how things work on a level I may not have reached on my own, which has given me a much stronger base of knowledge and has helped me move forward with greater confidence. I have lots going on in my life but I was able to set my own pace that worked for me. I never felt rushed, instead I received positive support making the experience very enjoyable. Now I’m considering another course! Thanks to all at the Herbal Academy! 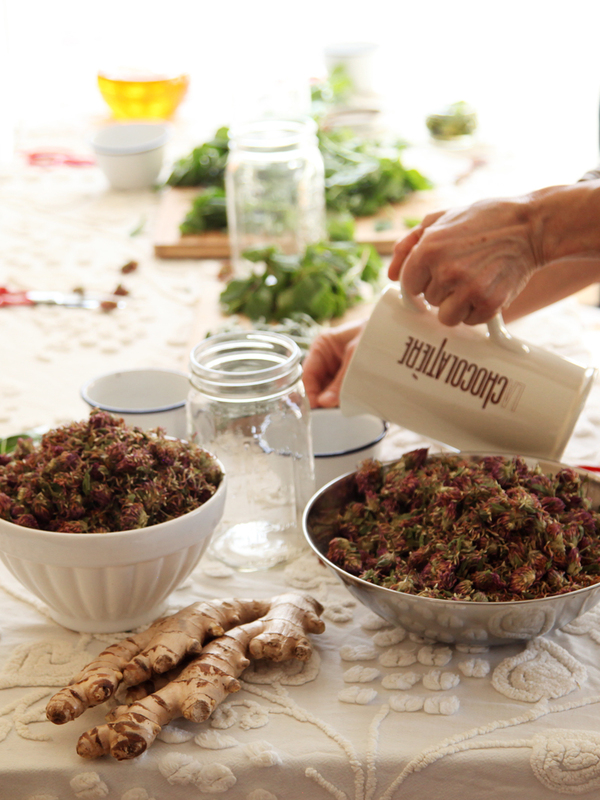 Learn more about the individual programs here: Intermediate and Advanced Herbal Courses. Learn about all of our courses and classes here.